The Ridge, Hole, 2 Every golf course strives to be Predator Ridge. We are coming off one of the busiest seasons ever. In no small way does much of the credit go to our sales and marketing team and in particular, Ingrid Dilschneider. Ingrid is nothing short of a marketing genius and although her work often goes un-noticed by the membership and staff, her team is largely responsible for keeping our resort full with paying guests. Year after year, the same groups return to Predator Ridge because of the food, the service, the golf and the accommodations we offer, but it would all amount to nothing if relationships with returning groups weren’t maintained. The name of the very popular program “Swing Like a Girl” was Ingrid’s idea. 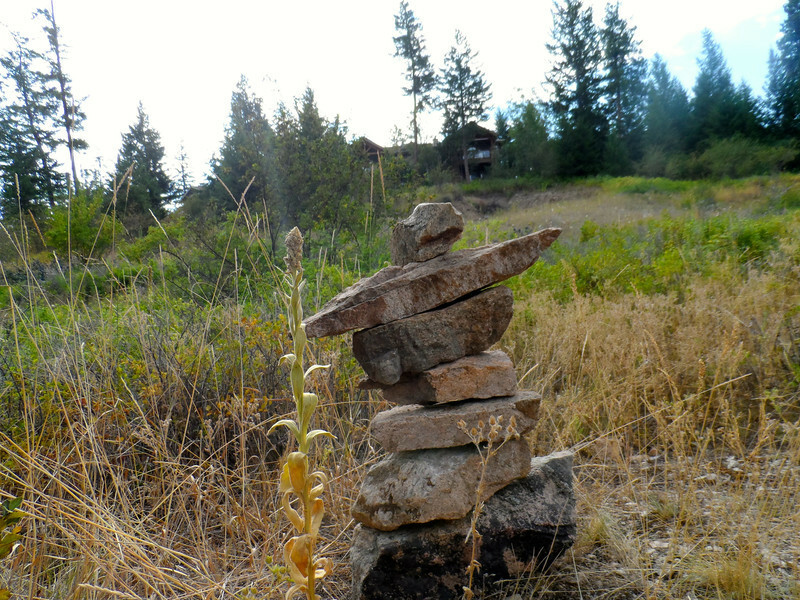 The inukshuk on the right hand side of the cart path two-thirds the way down Ridge #2 belongs to Ingrid and her team.